San Francisco, CA, June 18, 2018 – VIZ Media, LLC (VIZ Media), a premier company in the fields of publishing, animation distribution, and global entertainment licensing, kicks off a new supernatural action-adventure manga series set in early 20th century Japan with the launch of Demon Slayer: Kimetsu no Yaiba on July 3rd. This manga release features story and artwork by creator Koyoharu Gotouge and will be published under the Shonen Jump imprint with an age rating of ‘T’ for Teens. Print MSRP for Volume 1 will be $9.99 U.S. / $12.99 CAN. Demon Slayer: Kimetsu no Yaiba also launches digitally on July 3rd via viz.com and the VIZ Manga App, as well as from the Nook, Kobo, Kindle, iBooks, comiXology, and Google Play stores. Future volumes of this ongoing series will be published in English by VIZ Media on a bi-monthly basis. 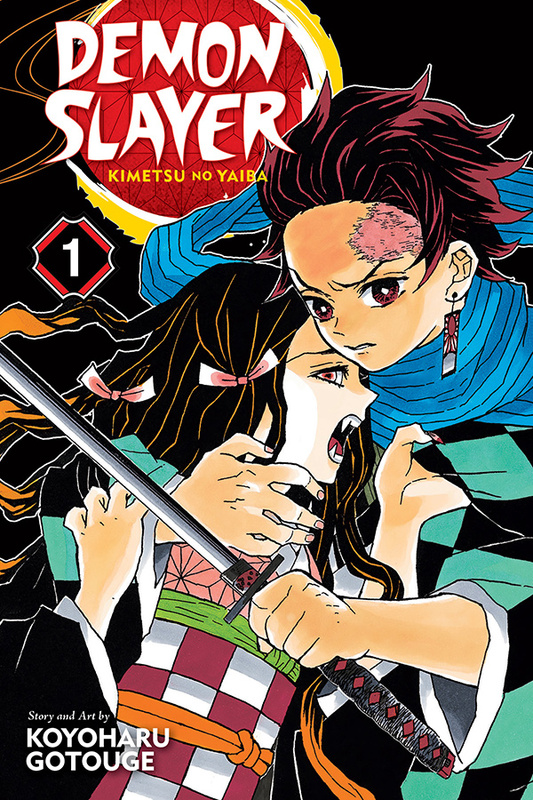 For additional information on Demon Slayer: Kimetsu no Yaiba and other manga titles published by VIZ Media, please visit viz.com. 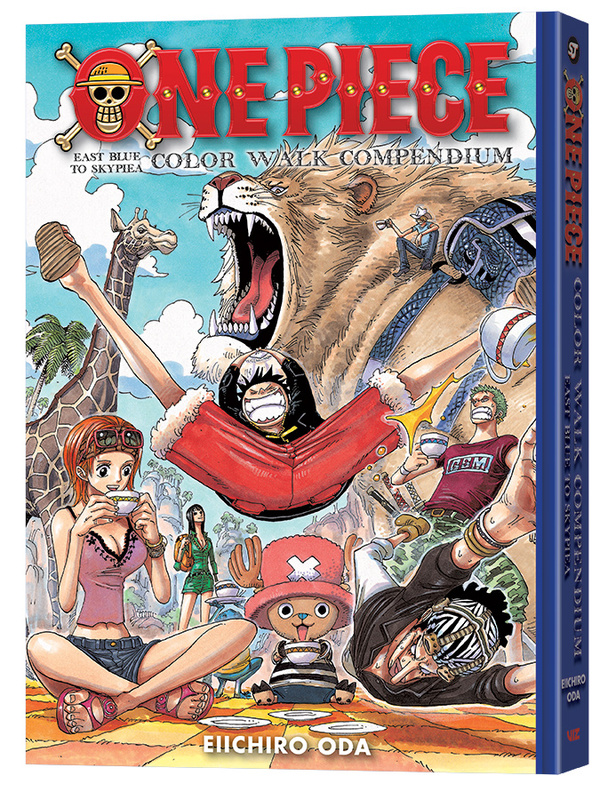 San Francisco, CA, June 18, 2018 – VIZ Media, LLC (VIZ Media), a premier company in the fields of publishing, animation distribution, and global entertainment licensing, thrills fans as it announces this summer’s release of the ONE PIECE COLOR WALK COMPENDIUM: EAST BLUE TO SKYPIEA. Set for an exclusive print release on July 3rd, the deluxe hardcover book contains a collection of artwork from the world’s bestselling manga series. 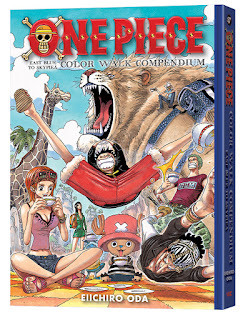 The ONE PIECE COLOR WALK COMPENDIUM: EAST BLUE TO SKYPIEA will be published under the Shonen Jump imprint and will carry an MSRP of $39.99 U.S. / $53.99 CAN. Enjoy this gorgeous collection of color artwork from Eiichiro Oda’s ONE PIECE! Filled with color images and special illustrations from the world’s most popular manga series, the compendium features over 300 pages of beautiful color art, several large pull-out posters, and interviews between Eiichiro Oda and other famous manga artists, including Akira Toriyama, the creator of DRAGON BALL. This collection contains both volumes of previously released and now out-of-print COLOR WALK art books as well as COLOR WALK 3, which was never released in English, and covers the early parts of ONE PIECE—from the East Blue arc, where the main characters of the Straw Hat pirates first meet, to the Skypiea arc where Luffy and friends face high-flying adventures! ONE PIECE creator Eiichiro Oda began his manga career at the age of 17, when his one-shot cowboy manga, Wanted!, won second place in the coveted Tezuka manga awards. Oda went on to work as an assistant to some of the biggest manga artists in the industry, before winning the Hop Step Award for new manga artists. His pirate adventure ONE PIECE, which debuted in Weekly Shonen Jump magazine in 1997, has over 430 million copies in print and is one of the most popular manga properties in Japan and the rest of the world. For additional information on ONE PIECE and other manga titles published by VIZ Media, please visit viz.com.